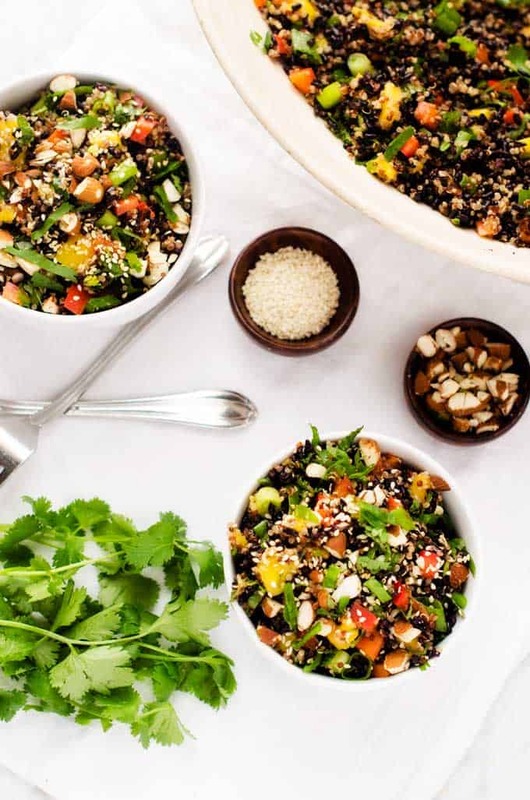 I am not sure how many quinoa salad recipes I’ve created, but I would guess that between the website and books the number is upwards of two hundred. 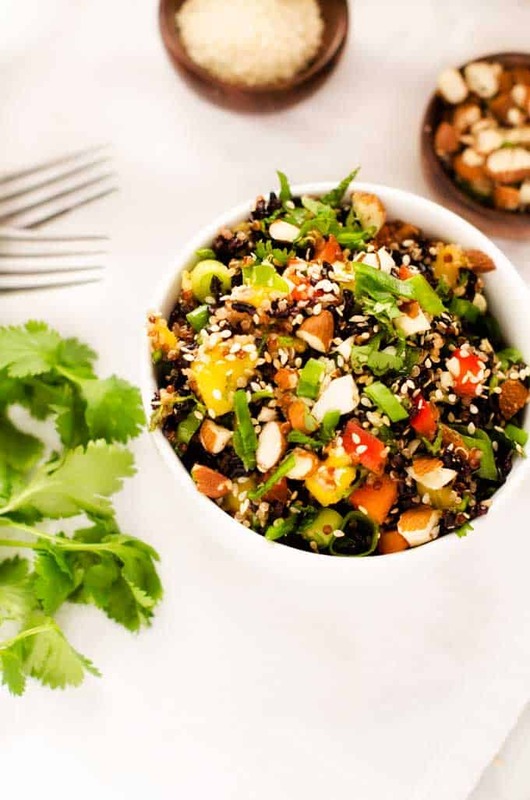 This Thai Black Rice Quinoa Salad is without question in my Top 5 All Time Favorites. It occurred to me recently that I may be one of a handful of full-time bloggers (i.e. bloggers who earn their primary income from their website) who never intended to blog at all. 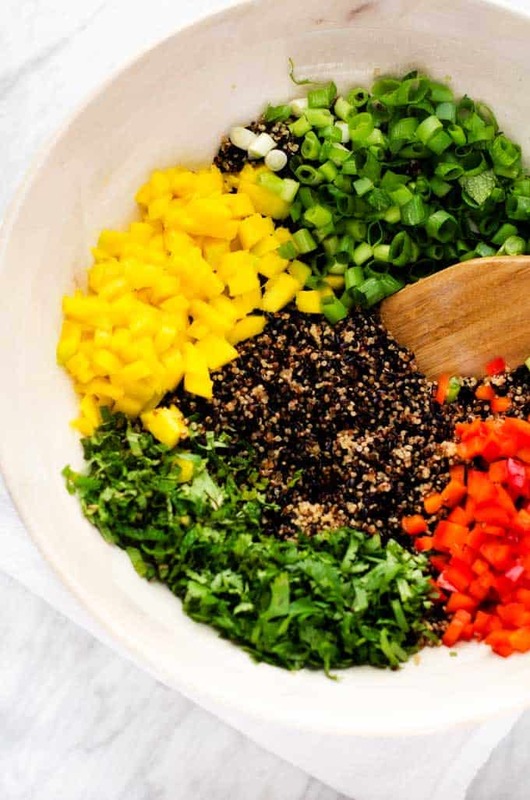 If you have been around here long, you know that I originally started a website (Cooking Quinoa) as an internet marketing site to share about a new favorite food. That was back in the days of pay-per-click advertising (which is not what I use now), and my big goal was to make an extra $300 a month in ad revenue. I didn’t even know what a food blog was, and it would be more than eight months before I would add my first food photo. When I finally did….they were terrible. I mean, really, awful. The photos in my first (print) book? Totally embarrassing. Even today, I would consider photography my weak spot. Truth be told, if I didn’t have to take the photos, I would be able to share new recipes with you every day. I love food…food photography, not so much. Despite the fact that I consider food photography a necessary evil of what I do, I have made some progress through the years. 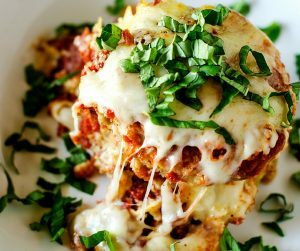 This was the original photo of this recipe, which at the time was THE VERY BEST photo on the entire website. One of my goals this year is to go back and re-shoot some of my favorite recipes from the early days. 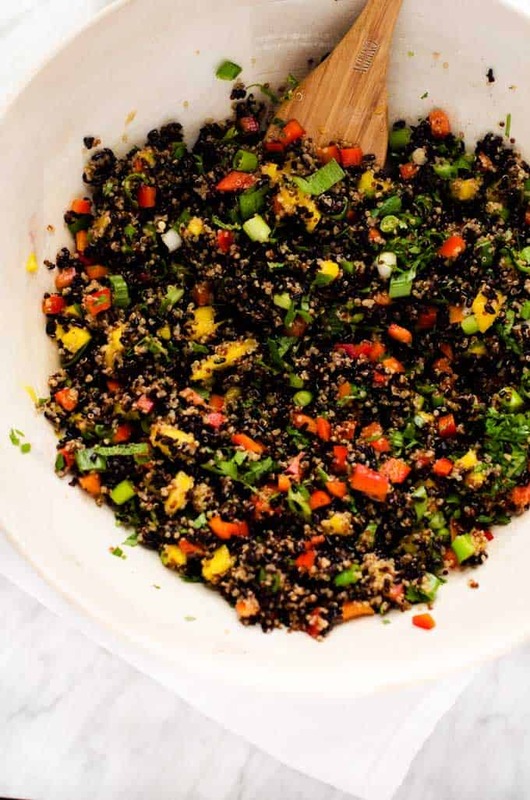 I am not sure how many quinoa salad recipes I've created, but I would guess that between the website and books the number is upwards of two hundred. 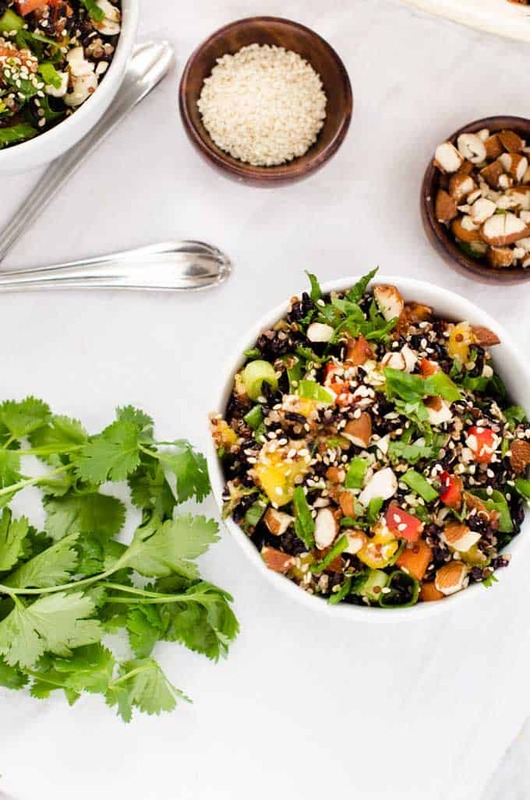 This Thai Black Rice Quinoa Salad is without question in my Top 5 All Time Favorites. 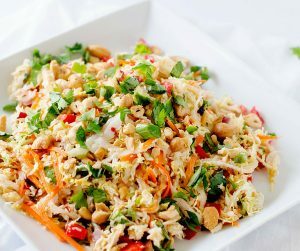 Make the dressing by combining rice vinegar, lime juice, coconut aminos, maple syrup, Sriracha, olive oil, sesame oil and garlic in a blender. Process until smooth. Season to taste with salt and pepper. 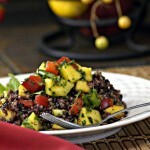 In a large bowl combine quinoa, black rice, mango, pepper, green onions, cilantro and mint in a large bowl. Toss with 3/4 of the dressing. 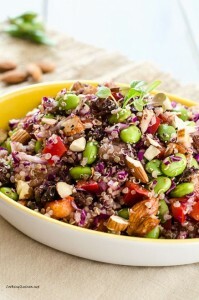 To serve, place in serving bowls and top with almonds and sesame seeds. Drizzle with additional dressing. I love your food photography by the way even if it drives you nuts! I’m horrible at it. 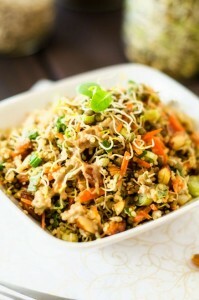 It was a bowl of healthy and delectable salad that can give you enough energy for the whole day. The images above was really great, it surely stands out. 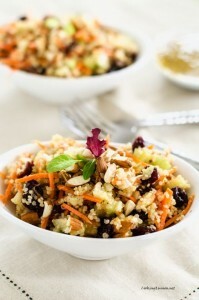 I’m always looking for new quinoa recipes, I have quinoa at least 3-4 times a week. This looks like a great salad to add to my rotation. I am bookmarking your site now!! 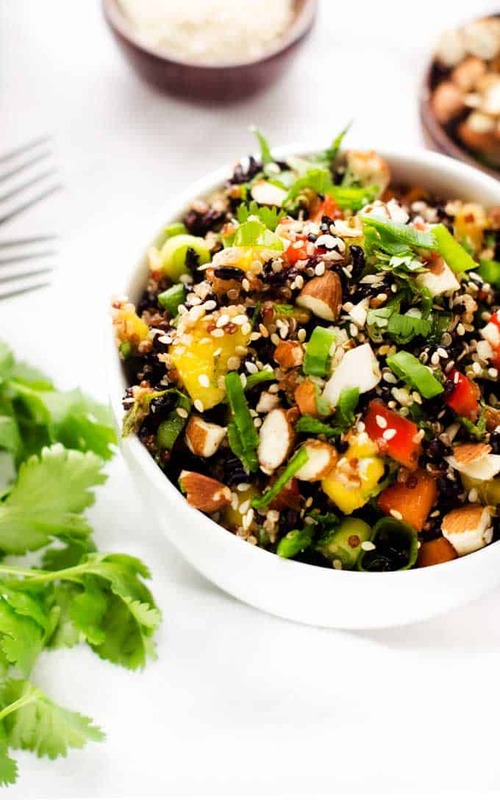 I have been trying for quite sometime to learn some good recipes using quinoa in a quest to get my husband to eat it since it is such a good food for his type 1 diabetes and heart disease. I don’t know what your photos looked like before, but I think they are pretty darn good now! I’m excited to try this recipe out and see how hubs likes it. Your photos are not at all that bad. You should see my food photos. Haha. 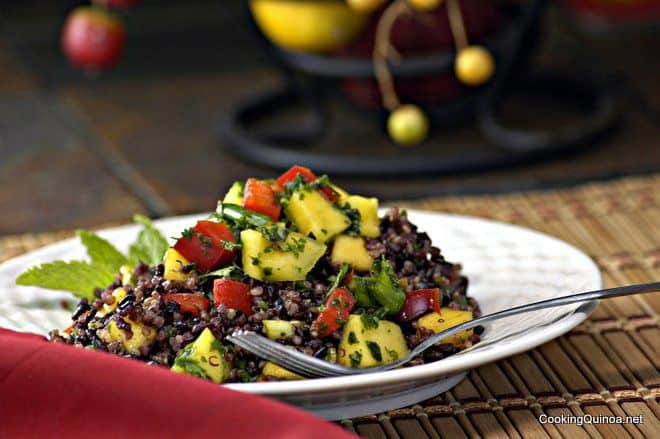 Anyway, the recipe for the black rice quinoa sounds great. I will gather the ingredients I need and make this too. That looks delicious and it’s so colorful too! I love a great salad. The black rice just makes it so much better. Thank you! This looks amazing. I need to try this some time. Looks really good. I love to try new recipes. Will be trying yours. Thanks !! I think your photos look really good! And congratulations on making blogging a full time job! I still haven’t found a way that I like quinoa! It just doesn’t appeal to me! I really need to try it more ways! Looks like a wonderful recipe! Love all the ingredients going in and the colours! This looks amazing. I need to give it a try. I bet this tastes so good!! Omg can we say yum?!? 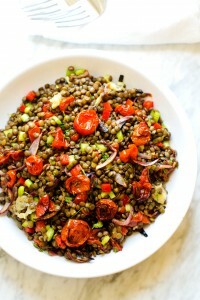 This salad looks absolutely amazing! I must give your recipe a try!!! This looks delicious. Could you advise what I could replace the mango with? I cannot eat that fruit, unfortunately. Thank you. I think most any tropical fruit would be good. Pineapple maybe? Or papaya. This salad was excellent!! Definitely will make this one regularly. I can see why this is one of your favorites!! I had soaked the Black Forbidden Rice for awhile and didn’t need even need to cook it, just rinsed and let it drain. It was soft, but chewy, giving the salad a nice texture. I used arugula in place of the mint. I also used pepitas and sunflower seeds, since I didn’t have any sesame seeds on hand. Finally, I topped the individual servings with a half an avocado cubed each, which really added a nice texture.